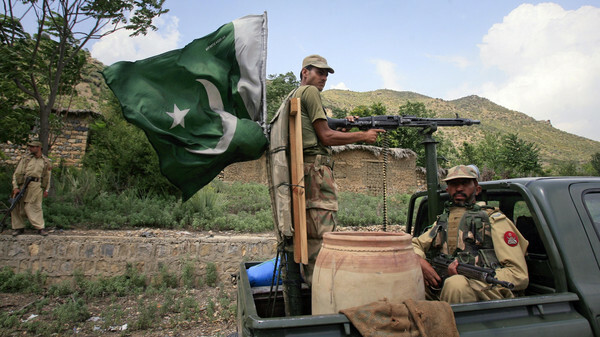 Soldiers patrol Tora Warai, a town in Kurram Agency, on the border with Afghanistan. Pakistan’s army says its fighter jets have killed 20 militants in a troubled northwestern tribal region near the Afghan border. An army statement says the 20 “terrorists” were killed Tuesday in precise air strikes in the North Waziristan tribal region, where the military has been carrying out a major operation since June.